Go on an exciting adventure as Alice, an amateur witch, or as Percydal, a prince turned into a frog! Percy's curse can only be broken by a kiss of his loved one – princess Rapunzel and it is up to you to find her! Get ready, the road to the princess won't be an easy one in this hidden object puzzle adventure! 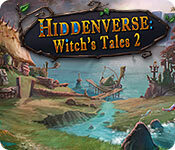 Hiddenverse: Witch's Tales 2 is rated 3.2 out of 5 by 14. Rated 5 out of 5 by arubabegonia from Its lots of fun sure trains your brain I was playing the free version and enjoyed it very much I will certainly consider a buying it in the future. Cannot do it right After our flooded city this spring most of our shops are shut down and no one is hiring. But for now, will keep this on my list Thanks for the fun. Rated 5 out of 5 by patbeil from Love these games I love these games and was happy when we got a new one. Unfortunately, It would be great to get a walkthrough because I'm stuck and can't move forward. Rated 5 out of 5 by mkgermany from Best hidden object/match-3 game in a very long time! I had to tear myself away from the game to let others know how fabulous it is. 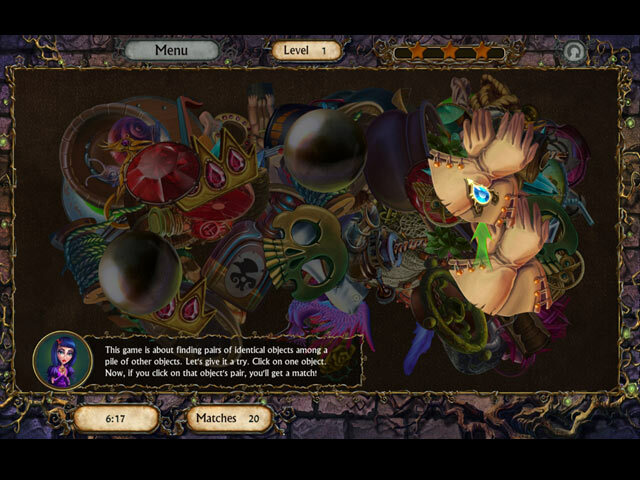 There are two "threads" - a sequence of games of increasing difficulty - one of match-3, one of hidden object (HO). 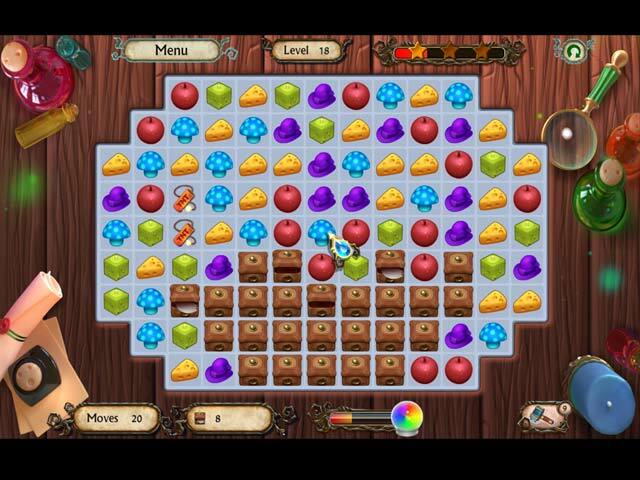 The HO part is very similar to other Hiddenverse games (i.e., the "clutter" type), but the graphics are clear and easy to see. Because of the variety of the games and the minigames every 5 games or so (I LOVE the pipe puzzles! ), boredom never happens. Pure fun. Rated 5 out of 5 by bamig from WONDERFUL LOVE IT I have no problems with the game as others say. I really love this game and am having so much fun. I bought the game and I will play it a lot. I never write a review but I just had to with this one. Rated 5 out of 5 by Thornee from Excellent Liked the first one alot. This one was just as fun for me. Love the different things you get to do. Rated 4 out of 5 by Sunshine566 from Different type of HO's I loved this game, you must like repetition, and going against the timer was awesome. This game also had a dual choice of finding HO's and a Match 3 game, I did not like. This type of game is my favorite. Rated 3 out of 5 by jeremysmom from I loved the first one... This game is okay... But, ending it is a challenge!!! I've done all levels, mini games etc... And still can't figure out how to beat it! Can't find any tips here to help me... Take your chances!!! 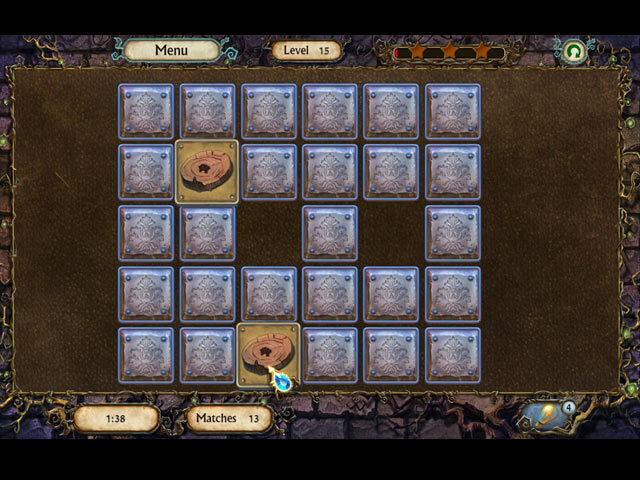 Rated 2 out of 5 by Snowdragon_23 from Locks up Fun little game- a mix of M3 and a few types of HOG puzzles. Gameplay is a little clunky (if you like fast matching M3 it will drive you nuts) but it's fun and relaxing to play. It would be a buy for me except it's impossible to get past level 12 on the M3 section. I win it and it sounds like the bombs going off but nothing happens. I installed the update and it still isn't fixed so it's a pass from me for now.